ERP solutions should be well within a budget of the company. Implementation costs both visible and invisible should be meticulously worked out and included in the budget to avoid aftershocks. 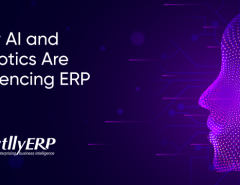 External and blind interpretation of ERP solutions accompanied by hustled implementation by business owners often leads to more turmoil and less productivity, as stated by Henrietta Newton Martin. In the paper titled “How Do Enterprise Resource Planning Systems Affect Firm Risk? Post-Implementation Impact” in MIS Quarterly journal, the authors Tian Feng and Xu Sean Xin have suggested the need for research on post-implementation stage of ERP. They have also established that ERP implementation greatly reduces risk in organizations especially where environmental uncertainty threats appear larger. However, there are always risks associated with any change, even after making the changes. Software compatibility is crucial for the success of ERP implementation. Therefore, define your business needs aptly before choosing the software. Besides that, ERP software is subject to stability concerns; so it is important that the software is thoroughly tested before implementation. Moreover, ERP solutions do not give instant results. It needs perseverance and determination by the company to get positive results out of it. Precisely defined scope of work, reduces ERP implementation risk. An ERP system standardizes and integrates various stake holders within the organization. With a more comprehensive workflow, ERP implementation becomes easier and reduces operating cost. This helps in maintaining transparency in relations between the client and the service provider. ERP implementation should be carried out in phases. Too much change in a short time may overwhelm employees and put them off. A step by step approach builds confidence among users and they are more receptive to upcoming change. This approach forms the basis for change management during ERP implementation. Though ERP compatibility is absolutely necessary, a firm risks its business operation by choosing a complicated ERP. ERP, in the end, has to be intuitive and easy to comprehend to promote its usage among employees. 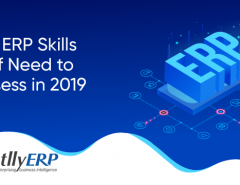 Adequate training of employees should be an integral part of ERP implementation process to encourage acceptance among employees and make sure that system is used correctly. 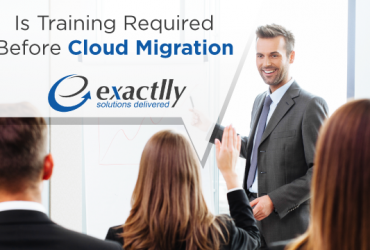 It is also advisable to review employee skills and train them from time to time especially when new features and modules are added to the system. ERP solution should have a long shelf-life considering positive return on investment. A solution with an ability to customize to your business needs offers far more benefits than the other way round. Apart from that, ERP implementation should be carefully planned without becoming a burden on the IT department. If it has tendency to consume too much time and energy, it might disturb the core task of IT team. ERP systems have been known to bring revolutionary changes in modern business practices. It has ability to manage various aspects of business. It has become easier for the business owners to have a comprehensive view of their business. The scope of improvement increases because the level of uncertainty comes down. 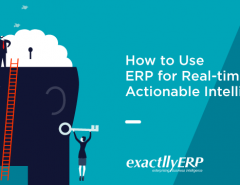 Despite multiple benefits, there are risks associated with ERP implementation especially operational, IT and financial that can bother the business if not monitored precisely. 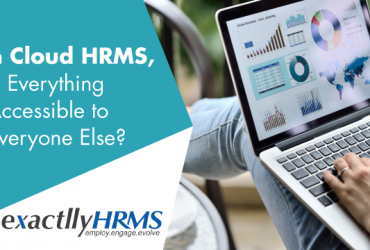 Previous Article In Cloud HRMS, Is Everything Accessible to Everyone Else?